With CIA Director Pompeo transitioning to Secretary of State, President Trump wants to quietly elevate a CIA insider that directed torture programs at an overseas “black site”. We need your help to ensure that no one who has directed torture becomes a high-level official in our government. Now is the time to send a collective message to our Senators that individuals who have violated human rights and international law should not lead U.S. agencies. Gina Haspel currently serves as the CIA’s deputy director, and the Senate will soon vote on whether to confirm her. 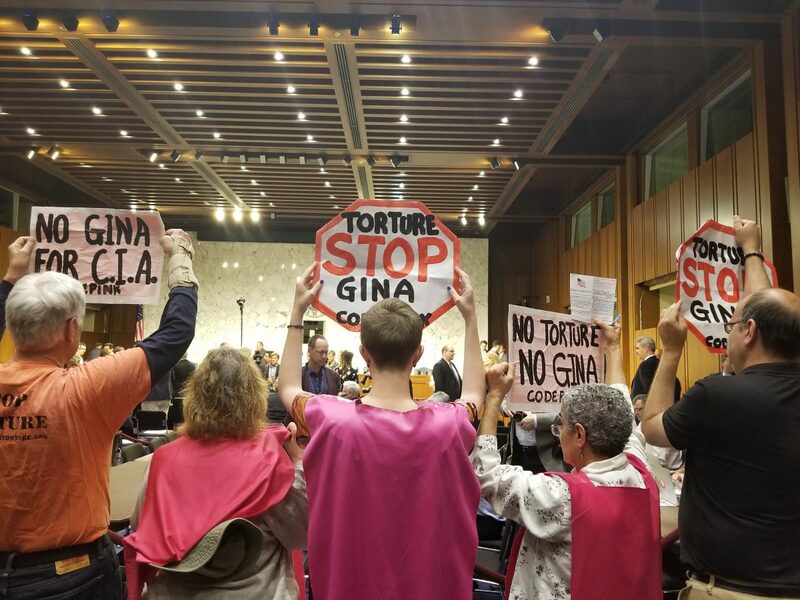 As the former director of a CIA “black site” prison in Thailand in 2002, Gina Haspel oversaw the brutal torture of two detainees; one of whom was waterboarded 83 times. She later worked to cover it up by destroying videotape evidence so that no one could be held accountable. She played a direct role in the C.I.A.’s “extraordinary rendition program,” under which captured militants were handed to foreign governments and held at secret facilities, where they were tortured by CIA personnel and contractors. More information about her role is in a February New York Times article. What does it say to the world when we appoint individuals who directed torture to lead one of our largest agencies? You can ensure that the U.S. is never involved with torture again. If you live in another state, you can find their name and number by going here. The time for action is now. Please help me ensure that the U.S. Senate NEVER confirms someone who directed the torture of another human being.